Most of your reality is not a given. It is shaped by your expectations, beliefs and thoughts you have formed about it. A big chunk of these beliefs and expectations are encoded into habits you integrate in your daily life, especially your morning routine. Yes, some of these habits are formed unconsciously and can be counter-productive or limiting but conversely you can consciously form positive habits that will transform and empower your life significantly. This is a powerful point of departure that more and more people are becoming aware of. The most common trait of highly successful people is the recognition of the power they have in co-creating their reality through changing the way they think, believe or expect their reality to be. One of the most effective ways of changing our belief patterns is through practicing and maintaining a daily morning routine. Once again, if you look into the life history of any highly successful individual, you will find some form of ritual in his or her daily routine. Some of these rituals may seem crazy or eccentric but don’t be deceived by appearances. Rituals are one of the most effective self-empowering tools freely available at the persons disposal – that is, you! Below are some the easiest yet life-changing rituals you can do every morning. Of course, you can have your own afternoon or bed-time rituals but a morning routine is extremely effective in empowering your day since they help you charge yourself before it all starts. Feeling gratitude and appreciation for those little signs and moments of joy happening in your life is probably one of the most overlooked or underestimated rituals. It is a perfect morning routine to start your day on a very positive key. The real power of gratitude is that it makes you pick out and focus on what is working in your life – what is in tune with your being as a whole. It is selectively positive. It reinforces happiness and positivity by shedding light on those awesome things, small or big, that grace your every day living. Quite often we just pick out the pain points, the problems, the bottle necks, whatever it is that is not working in our life and causing friction, anxiety and unhappiness. This is like constantly rewriting the script of your life with a negative or tragic overtone. Your subconscious mind follows faithfully that script you write whether it is a negative or positive one. So feeling gratitude is undoubtedly an immensely empowering ritual. Start your day by being thankful for those positive things that happened the previous day or throughout the week. It could be something really petty and small. It doesn’t matter. You might be grateful for an unexpected visit from an old friend, a beautiful encounter with a kind stranger, a new opportunity or whatever it is that shines your way. Do it every morning and see what happens during the day. Morning Routine #2. Writing Down a Task Lisk. Most Important First. 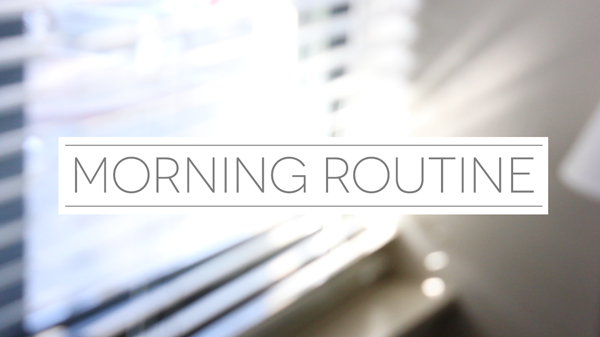 This is a very practical morning routine. Start your day by identifying and writing down no more than 6 of the most important tasks you need to complete during that day. These tasks are ones which support important long term goals that are aligned to your purpose, passion or general direction in life. For example, if writing a book or building an online community are important long term goals which are aligned to your personal growth, then an important task for the day might be finishing off a particular page or two of the book or coming up with fresh content ideas for the online community. What is important with this morning routine is that you identify these tasks and complete them as early in the day as possible. Of course you will have other tasks apart from the ones you will write down but these are tasks which can be tackled later or batched up and carried out in one go. Writing down your most important tasks in the morning, helps you focus your day and life according to what is essential. It helps you prioritize and manage your time better. As a result, you simplify your life by applying your focus and energy on what really counts for your overall life progress. This is similar to the previous idea but different in its application and purpose. Writing down your most important tasks of the day is a way to have a concrete structure of action to follow. Affirming your goals, on the other hand, is a very powerful way of crystallizing your vision and goals in life into your everyday mental space. Writing down or doodling your goals on a piece of paper helps you externalize those goals by giving them form. In return they are reflected back in your subconscious mind thus reinforcing them and integrating them more wholly. An example of this would be writing down “I am achieving greater success in my career” or “I am becoming healthier and stronger through my exercise”. Notice the present tense being used as a way to tell yourself you are in the process already. Remember the life script we subconsciously follow? You are basically modifying the script to be applied now in the present. Drawing or doodling can be equally, or even more, effective (if you are more of a visual person) as it summarizes a graphical representation of your goals. At night your body gets dehydrated, this wears on our mindset and focus. Drink 8 oz of water every morning as you wake up. This is a very simple ritual I follow faithfully every morning. Add Lemon to your water…apart from being a good source of Vitamin C and a great way of flushing out toxins in the morning, it balances and maintains the PH levels in the body, reduces pain and inflammation in joints and knees and helps nourishing brain and nerve cells. The practical advantages of waking up early are obvious. For example you gain more time for doing exercise such as walking, paddle boarding or yoga. You gain more time to be with yourself to reflect, meditate or, more importantly, carry out the other morning routines. So rising early can be seen as a foundation for all the other morning routines. Many, like myself, find that they are more productive in the early hours of the day. Also, various studies have shown that there are many other benefits from waking up an hour or two earlier in the morning. For example it has been shown that sleeping early and waking up early helps the body attune with the earth’s circadian rhythms thus promoting more restorative sleep. Other curious results from such studies show for instance that early risers tend to be more optimistic and can anticipate and solve problems more efficiently than the norm. This morning routine is a no-brainer. 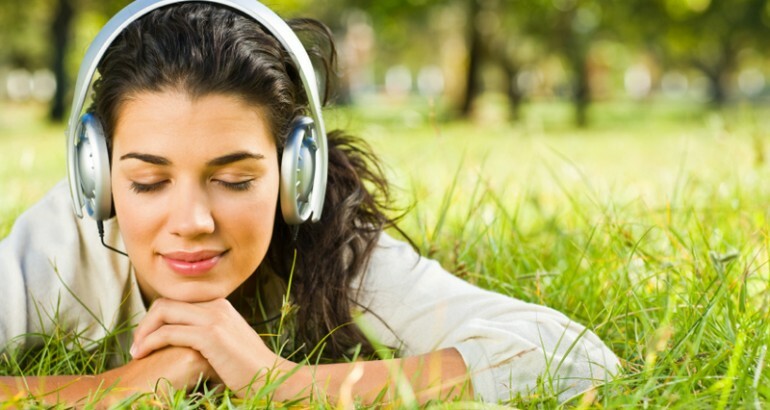 Positive & energetic music can have a direct impact on our mood especially in the morning. It charges us emotionally and tunes us into a more positive outlook of the day ahead. Most people wake up to music or listen to music as they commute to work. Very often however they tune in to a radio or randomly pick a playlist from their device. Being more selective and conscious of the music you listen to in the morning can have a great impact on your day and life in general. Try to listen to more uplifting music in the morning even if, or especially if, your mood does not dictate so. It’s funny how we try to choose music according to our mood. For example if you are feeling down or disappointed by something, you are more prone to listen to music that reflects that mood – for instance blues, sad songs or downtempo music. This has the effect of reinforcing that mood. What you need to do is the exact opposite and retune your mood by listening to music that beats to a different tune than that mood. A great book that breaks down a morning ritual is “The Morning Miracle” by Hal Elrod. You create your life, make it amazing! Why not? It takes just as much effort to be mediocre as it does being amazing! The key is a routine of consistent positive actions that accumulate towards achieving your dreams. Dream Big. Start Small. 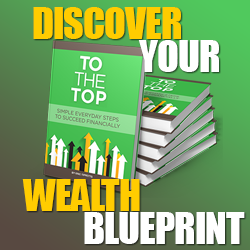 If you enjoyed this blog, My 6-Step Morning Routine To Guarantee Success, Daily! Please comment and share with others. Let’s help everyone live a morning designed for Success. My Morning Routine To Guarantee Success. Broken Down into 6 Steps!